Country music has been the lifeblood of American culture since the early 20th century. Whether it's classic Johnny Cash and his vintage outlaw country, or Taylor Swift and her genre-bending super pop, country music has thrown hats into almost every ring of popular culture. 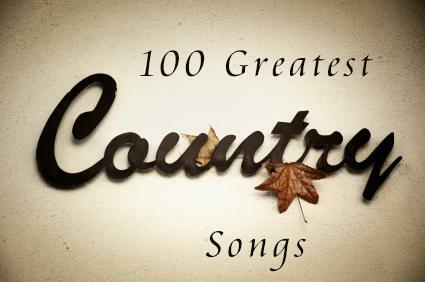 The task of rounding up a century's worth of songs into one list is daunting. To appear on this list, a song had to have notable sales numbers, excellent chart positions, or a significant impact on the country music genre. The following songs are listed in alphabetical order. 9 to 5 Dolly Parton 9 to 5 was the feature song in the 1980 film, 9 to 5. In 2004, AFI ranked the song #78 on their 100 Years, 100 Songs best movie music list. A Boy Named Sue Johnny Cash In 1969, A Boy Named Sue reached #1 on the country charts and #2 on the US pop charts. All My Rowdy Friends Are Coming Over Tonight Hank Williams, Jr. Hank wrote a slightly-altered version of this song for the theme to the NFL's Monday Night Football. His song won an Emmy in 1991 and remained the theme song for 22 years until ABC became critical of political comments that he made publicly. Always On My Mind Willie Nelson Willie Nelson's 1982 version of Always On My Mind won three Grammy awards in 1983. In addition to being a singer, Willie Nelson is a prolific songwriter who wrote many legendary hits such as Patsy Cline's Crazy. Amanda Waylon Jennings Amanda, one of the biggest country hits of 1979, peaked at #1 on the country charts and #54 on the US pop charts. Amarillo by Morning George Strait In a 2003 televised special from Country Music Television (CMT), Amarillo by Morning was named #12 on their greatest country songs list. The hit song peaked at #4 on the country charts. Back in the Saddle Again Gene Autry Back in the Saddle Again was inducted into the Grammy Hall of Fame in 1997. Besides being a prolific Western film star and singer, Gene Autry wrote the holiday classic, Rudolph, the Red Nosed Reindeer, which became one of the best-selling songs of all time in any genre. Before He Cheats Carrie Underwood In May 2013, the RIAA certified Before He Cheats as four-time Platinum for selling four million copies, Underwood's highest-grossing song to date. Carrie Underwood found stardom after appearing on American Idol. Blame It on Your Heart Patty Loveless Patty's most successful song on the charts, Blame It on Your Heart reached #1 on the country charts and #112 on the US pop charts in 1993. Blue LeAnn Rimes LeAnn's smash-hit song helped her win the 1996 Grammy award for Best Female Vocal Performance. Blue Eyes Cryin' in the Rain Willie Nelson This classic Willie Nelson song peaked at #1 on the country charts and was #30 in Rolling Stone's list of the top 500 songs of all time. Blue Moon of Kentucky Bill Monroe Monroe's legendary song was covered by the likes of Elvis Presley, and Country Music Television ranked it #11 in their list of top 100 country songs of all time. Burnin' Old Memories Kathy Mattea In 1989, Burnin' Old Memories peaked at #1 on the country charts and is noted as helping its album, Williow in the Wind, go gold. Can the Circle Be Unbroken (By and By) The Carter Family One of the first country songs written and recorded in America, this classic was induced into the Grammy hall of fame in 1998. Chattahoochee Alan Jackson This hit single from the early '90s scooped up the Single of the Year and Music Video of the Year at the 1993 CMA Awards. Check Yes or No George Strait George Strait's classic love story put into song scored the #1 position on the US country charts and stayed there for four straight weeks. Chicken Fried Zac Brown Band Since its release in 2008, this song has already sold over two million copies and has quickly become a modern country classic. Coal Miner's Daughter Loretta Lynn The signature song for Loretta Lynn, Coal Miner's Daughter was ranked #13 in CMT's all-time greatest country song list. It was also the feature song for the Oscar-winning film of the same name. Country Girl (Shake It for Me) Luke Bryan One of the hottest selling singles in country music today, Luke Bryan's hit was released in 2011 and has sold over two million copies. Cowboy Take Me Away Dixie Chicks Cowboy Take Me Away become the Dixie Chicks' signature song when it peaked at #1 on the country charts and #27 on the US pop charts. Crazy Patsy Cline Originally written by Willie Nelson, Cline's version of Crazy was given the #3 spot on CMT's ranked list of the top 100 country songs, was ranked #82 in Rolling Stone's list of the top 500 songs of all time, and it became the signature song of Patsy Cline. It peaked at #2 on the country charts and #9 on the US pop charts. Devil Went Down to Georgia Charlie Daniels Band This classic ballad about Johnny and the Devil having a fiddle contest peaked at #1 on the country charts and won Charlie Daniels a Grammy in 1979. Dirt Road Anthem Jason Aldean The only song on this list to feature rapping in it, Jason Aldean's unusual song peaked at #7 and sold over three million copies in just two years. D-I-V-O-R-C-E Tammy Wynette Though not as huge a hit as her legendary song Stand by Your Man, D-I-V-O-R-C-E peaked at #1 on the country charts and #63 on the US pop charts in 1968. Don't Come Home A'Drinkin' (With Lovin' on Your Mind) Loretta Lynn This 1967 hit was Loretta Lynn's first #1 single on the country charts, and it led to her becoming the first recipient of the Female Vocalist of the Year award at the 1967 CMA awards. Don't It Make My Brown Eyes Blue Crystal Gayle This 1977 release became Crystal Gayle's biggest crossover success when it peaked at #1 on the country charts and #2 on the US pop charts. Don't Take the Girl Tim McGraw This song became Tim McGraw's first #1 country single, and it also made the US pop charts at #17. Feels So Right Alabama Alabama's biggest crossover hit, Feels So Right reached #20 on Billboard's Hot 100 chart and stayed in the top 100 for a whopping 22 weeks. The Fightin' Side of Me Merle Haggard The Fightin' Side of Me was released in 1970 and peaked at #1 on the country charts and #92 on the US pop charts. It also helped to launch the album of the same name to the top of country music charts. Flowers on the Wall Statler Brothers Originally the backing band for Johnny Cash, the Statler Brothers made a name for themselves with Flowers on the Wall, which reached #2 on the country charts and #4 on the pop charts. It was also featured in the 1994 film Pulp Fiction. Folsom Prison Blues Johnny Cash Considered to be one of the greatest country songs of all time, Folsom Prison Blues was also one of the earliest. Cash wrote it in 1955 when he was starting out. It would eventually go on to peak at #1 on the country charts and #32 on the US pop charts in 1968. It appeared on several live albums and has sold millions of copies. CMT ranked it the 25th greatest country song of all time, and Taste of Country ranked it the second best country song of all time. For My Broken Heart Reba McEntire This song, while it found great success for Reba by reaching #1 on the country charts, was birthed from the greatest tragedy in Reba's career. In 1991, eight of her bandmates, many of which were her close friends, died in a charter plane crash. The following album and its lead song For My Broken Heart was written in their memory. Friends in Low Places Garth Brooks Ranked #6 in CMT's top 100 country songs of all time, Friends in Low Places would become one of Garth Brooks' signature songs. With the help of this smash hit in the early '90's, Brooks would sell tens of millions of albums. Galveston Glen Campbell Ranked #8 in CMT's all-time list, Galveston reached #1 on the country charts and #4 on the US pop charts. Glen Campbell became the first country artist to win four Grammys in both the country and pop genres in 1967. God Bless the Broken Road Rascall Flatts Flatts's version of this song won a Grammy in 2005 for Country Song of the Year and was also nominated for Song of the Year. Happiest Girl in the Whole USA Donna Fargo Donna Fargo's signature song peaked at #1 on the country charts and #11 on the US pop charts and was later covered by country legend Tammy Wynette. Harper Valley PTA Jeannie C. Riley Harper Valley PTA made Riley the first woman to top the pop and country charts at the same time. Hello Darlin' Conway Twitty Conway's signature song, Hello Darlin was released in 1970 and peaked at #1 on the country charts. He often sang the song to his duet partner, country legend Loretta Lynn, when they performed together. He Stopped Loving Her Today George Jones Picked as the second greatest country song of all time by CMT, He Stopped Loving Her Today peaked at #1 on the country charts in 1980. Hey Good Lookin' Hank Williams In 2001, Hey Good Lookin was inducted into the Grammy Hall of Fame. Honey, I'm Home Shania Twain One of the lead singles to Shania Twain's record-breaking album Come On Over, the hit song would help the album sell over twenty million copies, making it the best-selling country album of all time. How Do I Live Trisha Yearwood In 1997, Yearwood's version of How Do I Live reached #2 on the country charts and #23 on the US pop charts. I Can Help Billy Swan Though Billy is not a household name, in 1974, he accomplished a rare feat that even many country legends could not do. His song I Can Help topped both the country and the US pop charts as a #1 hit. I Cross My Heart George Strait In 1992, George Strait's signature love song was featured in the film Pure Country, and it scored a #1 position on the country chart. The single helped his album Pure Country sell over six million copies. I Don't Believe You've Met My Baby The Louvin Brothers One of the first country acts, this duo made popular the style of singing close harmonies. According to Joel Whitburn's book, Hot Country Songs 1944 to 2008, the song I Don't Believe You've Met My Baby became their most successful song when it peaked at #1 on the country charts in 1956. I Fall to Pieces Patsy Cline I Fall to Pieces became Cline's first #1 hit on the country charts, and it also crossed over to #12 on the pop charts. Despite a career only spanning six years, her songs would go on to sell tens of millions of copies. I Hope You Dance Lee Ann Womack Womack's only #1 country single, it also reached #14 on the US pop charts. Despite Womack's limited chart presence, CMT honored her by ranking I Hope You Dance at #30 on their all-time greatest country songs list. I Will Always Love You Dolly Parton Whitney Houston's cover of I Will Always Love You became one of the most successful singles of all time when Houston recorded Dolly's song for the movie, The Bodyguard. I Won't Need You Anymore (Always and Forever) Randy Travis This song peaked at #1 on the country charts and helped Travis win the Album of the Year award at the 1987 CMA Awards. If I Die Young The Band Perry In 2011, The Band Perry was nominated for Vocal Group of the Year in the CMA awards, thanks in part to their hit song If I Die Young which has sold over four million copies. If You've Got the Money I've Got the Time Lefty Frizell Lefty Frizell's 1950 hit single was inducted into the Grammy Hall of Fame in 1999 and remains one of the greatest country songs of all time, ranking #57 on CMT's all-time list. I'm Already There Lonestar Released in May 2001 the song, which has a man telling his family how much they mean to him, became a comfort for Americans after 9/11. It reached #1 on the country charts and #24 on the US pop charts. (I'm So) Afraid of Losing You Again Charley Pride One of the first African Americans to find success in country music, Charley Pride's (I'm So) Afraid of Losing You Again peaked at #1 on the country charts in 1969. I'm Sorry Brenda Lee Released in 1960, this song hit #1 on the country charts and stayed in the Top 100 for over six months. I'm Sorry became Brenda Lee's signature song. Is There Life Out There Reba McEntire Is There a Life Out There was another one of the songs written to honor Reba's bandmates, and it peaked at #1 on the country charts. It Wasn't God Who Made Honky Tonk Angels Kitty Wells In 1952 Kitty Wells, known as the "Queen of Country Music," became the first woman to top the country music charts with her song, It Wasn't God Who Made Honky Tonk Angels. I've Got a Tiger By the Tail Buck Owens Buck Owens, one of the co-creators of the Bakersfield Sound along with Merle Haggard, was also the host of the popular TV show Hee Haw. In 1965, his song I've Got a Tiger By the Tail was the lead-off single for the album of the same name. One of Buck's best albums, it was featured in Robet Dimery's book 1001 Albums You Must Hear Before You Die. King of the Road Roger Miller King of the Road ruled the charts in 1965, reaching #1 on the country charts, #1 on the US Adult Contemporary charts, #1 on the UK charts, and #4 on the US pop charts. Lizzie and the Rainman Tanya Tucker This song became Tucker's only Top 40 hit at #37 while peaking at #1 on the country charts. She was one of the few child stars who maintained a successful career into her adult years. Love Can Build a Bridge The Judds This 1990 hit peaked at #5 on the country charts and received international attention when Cher and Eric Clapton covered it and made it a chart topper in the UK in 1995. Love in the First Degree Alabama This #1 country hit in 1981 helped the legendary band Alabama win the ACM Vocal Group of the Year. Love Story Taylor Swift Released in 2008, Love Story has sold more than five million albums and helped catapult Taylor Swift into superstardom. Lovesick Blues Hank Williams According to Dana Jenning's book, Sing Me Back Home: Love, Death, and Country Music, Lovesick Blues reached #1 on the country charts in 1949 and remained there for sixteen weeks. Luckenback, Texas (Back to the Basics of Love) Waylon Jennings At the height of outlaw country's popularity in the '70s, Luckenback, Texas (Back to the Basics of Love) reached #1 on the country charts and #25 on the US pop charts. Mama He's Crazy The Judds This smash-hit peaked at #1 in 1984 and kick-started The Judds to superstardom in the 1980s with 18 songs on the charts. Mama Tried Merle Haggard Mama Tried was released in 1968 and peaked at #1 on the country charts. In 1999, it was inducted into the Grammy Hall of Fame. Need You Now Lady Antebellum In 2010, the hit single Need You Now won a Grammy for Best Country Song. Not a Moment Too Soon Tim McGraw The hit single Not a Moment Too Soon helped Tim McGraw's 1994 album of the same name become his best-selling album to date, selling over six million copies. Ode to Billie Joe Bobbie Gentry Besides topping the country charts, Bobbie Gentry's biggest single of her career was ranked #412 on Rolling Stone's list for the 500 greatest songs of all-time. Okie from Muskogee Merle Haggard Merle Haggard had 40 #1 hits on the charts during the course of his career. Okee from Muskogee is considered his signature song and was ranked #21 on CMT's all-time greatest country song list. On the Road Again Willie Nelson Willie Nelson won a Grammy for Best Country Song after On the Road Again was released in 1980. Red Dirt Road Brooks & Dunn One of the biggest commercial successes from Brooks & Dunn, Red Dirt Road peaked at #1 on the country charts and #25 on the US pop charts. Redneck Woman Gretchen Wilson The signature song of Gretchen Wilson, this chart-topping hit won a Grammy in 2005. Rhinestone Cowboy Glen Campbell Ranked #32 in CMT's all-time list, Rhinestone Cowboy is one of the few songs in history to reach #1 on both the country and pop charts. Ring of Fire Johnny Cash Ring of Fire, arguably Johnny Cash's most famous song, reached #1 on the country charts, #17 on the pop charts, and was ranked #82 in Rolling Stone's list of the top 500 greatest songs of all time. Rose Garden Lynn Anderson In 1970, this hit song reached #1 on the country charts and #3 on the US pop charts. Seven Year Ache Rosanne Cash The eldest daughter of Johnny Cash, Rosanne Cash had several hits in the '80s including her most successful song, Seven Year Ache, which reached #1 on the country charts and #22 on the pop charts in 1981. She's Got the Rhythm (I've Got the Blues) Alan Jackson This hit single from the early '90s helped Jackson's album A Lot About Livin' (And A Little 'Bout Love) sell over six million copies. It is his most successful album to date. She's in Love with the Boy Trisha Yearwood In 1991, this song peaked at #1 on the country charts and helped establish Trisha Yearwood's successful career in the '90s. Stand By Your Man Tammy Wynette According to her biography, Tammy Wynette pioneered country music for women when she became the first female country artist to sell one million albums, and her song, Stand By Your Man, is the best-selling country single of all time. In 2010, the LIbrary of Congress registered Stand By Your Man into the National Recording Registry. Stand By Your Man was also ranked #1 on CMT's top ranked list of the 100 country songs of all-time. Strawberry Wine Deanna Carter The signature song of Deanna Carter, Strawberry Wine won Single of the Year awards at the 1997 CMA Awards. Stuck Like Glue Sugarland Since its 2010 release, Stuck Like Glue has sold over two million copies. Sweet Dreams Emmylou Harris Written by Don Gibson in 1956 and covered by many artists including Patsy Cline in 1963, Harris's version achieved the most success when it peaked #1 on the country charts in 1976. Take Me Home, Country Roads John Denver This John Denver classic peaked at #2 on US pop charts and #50 on the country charts. Though it never made the Country Top 40, CMT ranked it at #18 in their list of the all-time greatest country songs. The Dance Garth Brooks Ranked #14 in CMT's top 100 country songs of all time, The Dance would become Garth Brooks's signature song, perhaps along with Friends in Low Places. In the early '90's, both songs would help Brooks sell tens of millions of albums. The Gambler Kenny Rogers This hit song scored Kenny Rogers a Grammy for best vocal performance in 1979. The Good Stuff Kenny Chesney Released in late 2012, Kenny Chesney's skyrocketing hit has been certified gold for selling over 500,000 copies. The Prisoner's Song Vernon Dalhart Recorded in 1924, this early country song was inducted into the Grammy Hall of Fame in 1998. The Thunder Rolls Garth Brooks The Thunder Rolls was a hit single that helped the album No Fences sell 17 million copies. The Way You Love Me Faith Hill This single released in 2000 helped Hill's album Breathe sell over eight million copies. There's a Tear in My Beer Hank Williams, Jr In 1989, Hank Williams, Jr. recorded a version of There's a Tear in My Beer, an unreleased song by his legendary father Hank Williams, Sr. who died in 1953. Using electronic merging technology, the voice of his father was joined with Hank Williams, Jr., and the song was then released as a duet. In 1989, the song won a Grammy for Best Country Vocal Collaboration. Unanswered Prayers Garth Brooks Unanswered Prayers was the second hit single from Brooks' album No Fences. Wabash Cannonball Roy Acuff Wabash Cannonball peaked at #12 on the US pop charts in 1938, and is the signature song of both the Indiana State and Purdue marching bands. It made the list of the Rock 'n Roll Hall of Fame's one hit wonders. Walkin' After Midnight Patsy Cline Walkin' After Midnight peaked at #2 on the country charts and #12 on the pop charts. Walking the Floor over You Ernest Tubb According to a Tubb biography, his country classic Walkin' the Floor over You was the first honky tonk song to sell over a million copies, which led to national stardom, movie roles, and membership in the Grand Ole Opry in Tennessee. Wanted Hunter Hayes Released in 2011, Wanted has sold over three million copies making the young Hunter Hayes a rising superstar. When You Say Nothing at All Alison Krauss and Union Station Alison Krauss' first song to reach the charts, When You Say Nothing At All was given the Single of the Year award at the 1995 CMA Awards. Wrong Again Martina McBride Wrong Again was the most successful single from McBride's most commercially successful album, Evolution. The song peaked at #1 on the country charts and #36 on the pop charts. Your Cheatin' Heart Hank Williams Your Cheatin' Heart was ranked #5 in CMT's all-time list, and became Williams' most recognizable song. You're Still the One Shania Twain Shania Twain's You're Still the One was the featured single for her record-breaking album Come On Over, which sold over twenty million copies making it the best selling country studio album of all time. The purpose of a top 100 list is not to settle a debate about which songs are best. The purpose is to spark passionate conversation about great music and ensure that the debate continues. Impassioned arguments about top songs are what these lists are all about. They remind listeners why they pressed play in the first place.